As every year, 2017 has its own color. It’s Greenery, code 15-0343. And to declare it, as usual, is Pantone. Fresh and revitalizing, it is a shade of yellow-green, and recalls the beginning of spring, blooming nature and flourishing foliage of trees. Greenery, is a color “providing us with the hope we collectively yearn for amid a complex social and political landscape. Satisfying our growing desire to rejuvenate, revitalize and unite, Greenery symbolizes the reconnection we seek with nature, one another and a larger purpose.” (Leatrice Eiseman, executive director of Panton Color Institute). 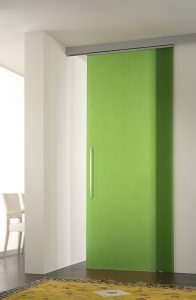 With Movi, you can have your own door in the color of the year. 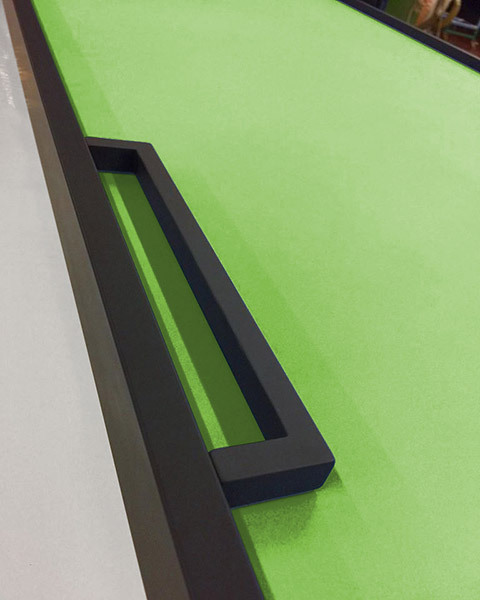 Profiles, panels, crystals: each element of our sliding panels can be customized to 100%, choosing all colors from the RAL range. The right match for a Greenery door? With neutral walls and furniture, you can safely go, while those who want to dare can match it to pastel or metallic colors.